This delicious dish has layers of flavors. The mouthwatering tomato sauce combined with our Rodelle Herbes de Provence Seasoning adds a bold taste that makes this lasagna perfection. In a large skillet, sauté the onion, garlic and mushroom in sherry and butter until the vegetables are soft. Add the chopped broccoli, spinach, and Rodelle Herbes de Provence. Stir to combine the ingredients, reduce the heat, cover the skillet and simmer for about 5 minutes or until broccoli is tender. In a medium combine the cottage cheese, 1 cup mozzarella cheese, Parmesan cheese, parsley, eggs, pepper and salt. In a baking pan, approximately 13x9x2 inches, spread ½ cup of tomato sauce on bottom. Spread half of the cheese mixture on noodles, then half on the vegetable mixture and 1 cup of the tomato sauce. 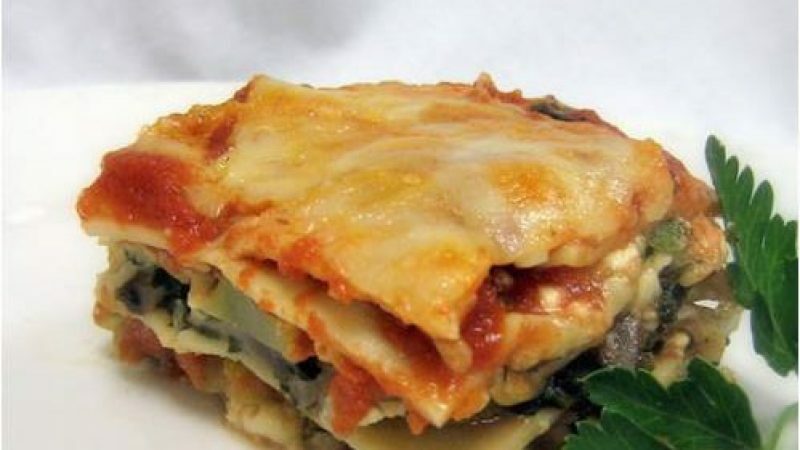 End with a layer of noodles, topped with the remaining ½ cup of tomato sauce. Sprinkle the remaining Rodelle Herbes de Provence over sauce evenly. Sprinkle the top of the lasagna with additional parmesan cheese and remaining cup of mozzarella cheese. Bake the lasagna at 350 degrees Fahrenheit for 45 minutes. Let stand for approximately 10 minutes before serving.